Found this while rummaging through some of my old wargaming stuff from back when I getting into the Mexican-American War period. I bought more than 50 packs of 15mm MAW figures (Musket Miniatures) on eBay for a very reasonable price, and I bought this model from Attactix in Colorado while on a business trip. I started painting it and detailing it, but lost interest in the MAW period before I finished this and before I painted a single figure. I sold all of the figures and used the proceeds to invest in American Revolution figures instead. 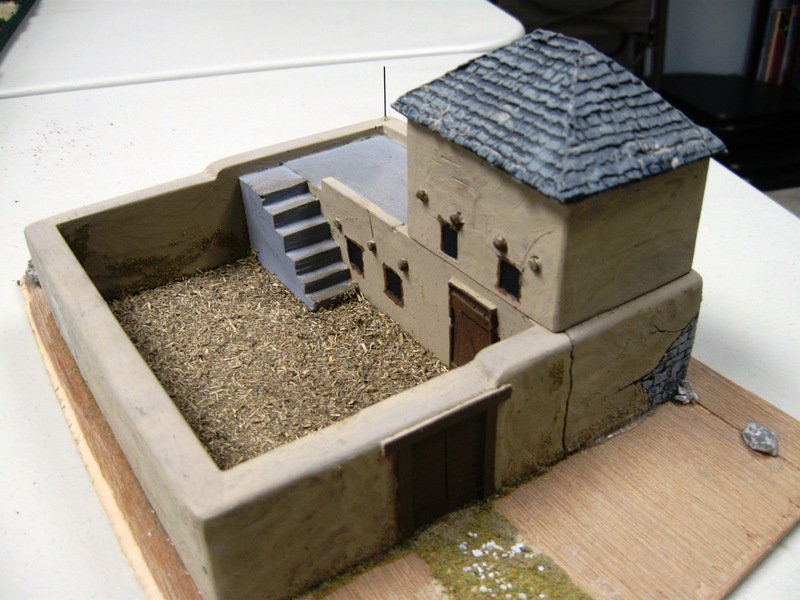 1) Anyone know the maker of this old 15mm building? 2) Have you ever started into a period for wargaming and then decided to abandon ship and head a different direction? If so, please leave a comment on your own experience. 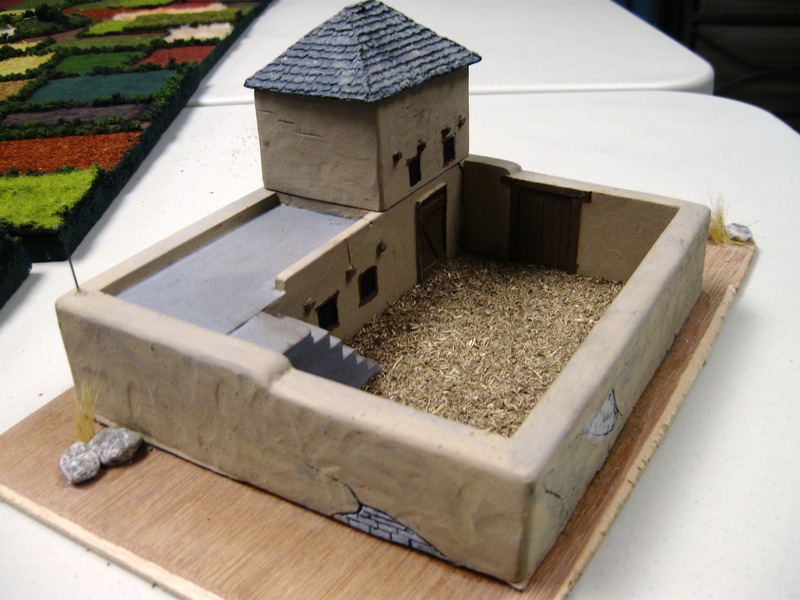 The model is of a hard foam, somewhat similar to some of the old JR Miniatures buildings, but I don’t know for sure that this was from JR. I recall that a piece broke in transit from Denver to Cleveland, and I had to glue it back together. The roof lifts off, and the blockhouse itself also lifts off of the base model. UPDATE: The maker of this old piece has been been identified as Greenfield Garrisons and it was likely made in the 1980s. 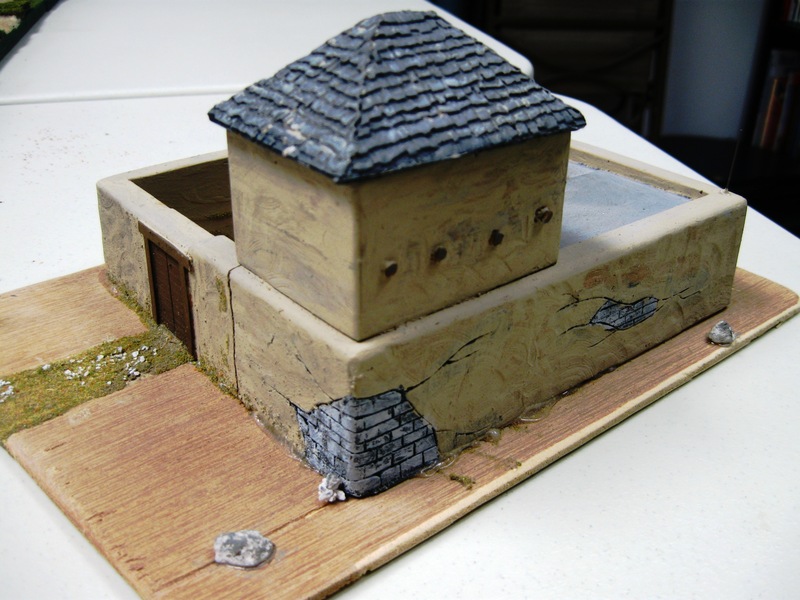 The company also made palisades, Viking buildings, and other goodies. At one point, Tom Dye of GFI owned them before selling off the line. I have the same model and use it for WWII 20mm western desert and my abandoned 15mm FFL project. I don’t use the roof, just the adobe flat roof, and have added some minor details. The package said 25mm, but is way too small and is more suited to 15-20mm. I have had a few projects fall by the way side before completion, such as my 15mm colonials. I sold them all, Boxers, Boers, Zulus, Brits, etc….and went to 25/28mm. I bought and lost interest in 15mm AWI before I could paint a fig. I also bought some 25mm ACW when my buddy did. He painted both sides before I could paint a single fig. It happens.